The gaming control board is an agency put together by a particular government to regulate casinos and other kinds of gaming establishments and industries in a particular region. For example, the state of Nevada, home to Las Vegas, has a Gambling Control Board governing any gambling establishments and practices in Nevada. The central purpose of these boards is to ensure that any laws governing gaming establishments and activities are followed by the stakeholders of the gaming industry in their jurisdiction. The other thing is to distribute licenses to these establishments governing their rightful ownership, rights of their employees and the games they host. They exercise due diligence by investigating casino operators, before giving them licenses to ensure they don’t use their establishments to commit a crime once they get their licenses. They enforce the rules and regulations governing the gaming industry in their jurisdiction. This is to ensure that breaking of any laws surrounding gambling in their jurisdiction does not go unpunished. This game protects the integrity of the gaming industry in Michigan. 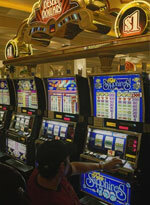 It licenses and regulates commercial casinos. It keeps an eye on the casino suppliers and employees. It also approves the building of new casinos in the Michigan area. The gaming control board in the Netherlands was created in 1996, and it is an independent body. It is charged with the task of controlling the governmental gambling monopolies. Its responsibilities surround sports betting, horse betting, lotto, instant lottery, and the state lottery and casino games. In addition, it oversees three charitable lotteries which are the postcode lottery, sponsor bingo lottery and the bank giro lottery. It advices the bodies involved with running these lotteries on how to get the right licenses and on the regulations to follow to keep within the bound of the law. It emphasizes on social responsibility when it comes to all gaming endeavors under the government's monopoly to curb social vices like gambling addictions and money laundering. This is an independent federal agency that regulates the Indian Gaming activities in the US, by sovereign Indian tribes living on Indian tribal land. They have a surprisingly large number of gambling establishments and it is the purpose of this commission to oversee their development, maintain the integrity of the gaming industry on Indian land, and ensure that the benefits go back to the Indian communities. They work at promoting transparency as concerns fund managements and keep an eye of the way that the casinos are run with the aim of ensuring that all the sovereign Indian tribes are supported by the proceeds of these casinos. There are over 400 tribal owned casino gaming establishment operating all over the US, so you can imagine the burden of responsibility on this board. By looking at the responsibilities of various gaming boards, we realize that gambling is an industry in need of rules and regulations. If not controlled, it can spiral into criminal hands and propagate criminal activities. It can also lead to the destruction of many lives as gambling is a destructive habit when allowed to get out of hand, Such board prevent these problems from occurring and are a big help when it comes to harnessing the potential of gambling establishments when it comes to generating revenue for governments in terms of taxes.